There has been some breaking news in the ongoing Canelo VS GGG saga. Canelo Alvarez has been temporarily suspended by the Nevada Athletic commission, for testing positive twice for performance enhancing drug Clenbuterol. Canelo Alvarez is currently scheduled to have a rematch against Gennady “GGG” Golovkin on May 5th 2018, which is now in a bit of jeopardy. Canelo’s positive test for PED clenbuterol was blamed on tainted meat in Mexico, which apparently is a problem over there. Had Canelo been smarter and trained in the US, this all could have been avoided, unless of course he was knowingly taking the drug. Clenbuterol is widely known for burning fat quickly while maintaining muscle mass, which is a boxers dream. The Nevada Athletic commission will reconvene on April 10th 2018, where Canelo will be given the chance to appeal. The fact that Alvarez is a huge money maker in the sport will definitely help his cause, but a final verdict is yet to come. Apparently, the levels on Clenbuterol found in Canelo’s blood, are on par with the theory that he ate tainted meat but, Clenbuterol only take 7 days to completely leave the body. That short period can suggest that the star was wangling taking the drug, and just stopped at some point before the testing. The investigation is ongoing, ad updates will be available as soon as possible. Saul ‘Canelo’ Alvarez (49-1-2, 34 KO’s) has tested positive for a banned substance, exactly 2 months before his scheduled rematch with Gennady ‘GGG’ Golovkin (37-0-1, 33 KO’s). Golden Boy Promotions quickly released a statement saying that Alvarez has tested positive for Clenbuterol. The statement read as such: “As part of the voluntary testing program that Canelo Alvarez insisted on ahead of his May 5 fight, one of his results came back positive for trace levels of Clenbuterol, consistent with meat contamination that has impacted dozens of athletes in Mexico.” Golden Boy has apparently reached out to Glolovkin’s camp as well, informing them of the news. 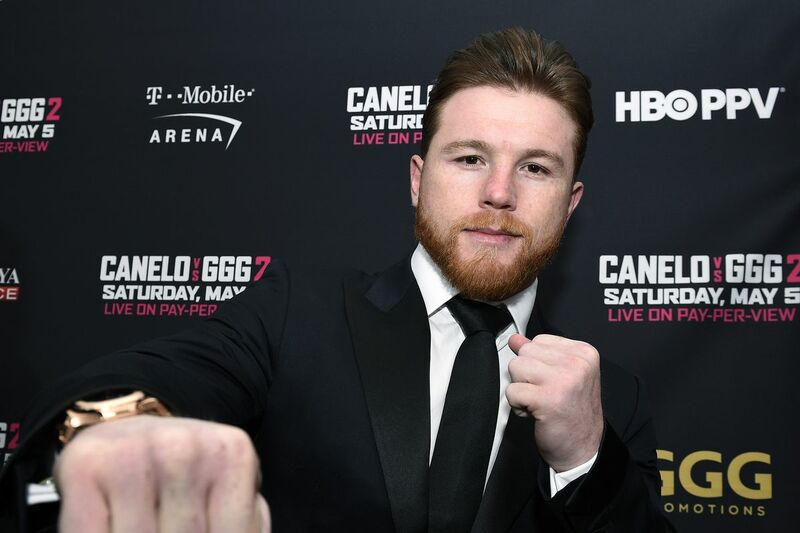 Canelo has also stated that he will be moving his training camp from Mexico to the United States immediately. Clenbuterol as originally developed as a bronchodilator for the treatment of asthma symptoms, but is known to increase heart rate, perspiration, and adrenalin. Clenbuterol can be used in conjunction with anabolic steroids, as well as other performance enhancing drugs such as HGH, for reducing body fat while increasing growth of skeletal muscle. The drug is highly coveted by bodybuilders, for this unique ability to burn fat while maintaining muscle mass. Only trace amounts of the drug were found Canelo’s system, and Golden Boy claims its from the meat contamination in Mexico. But, if Canelo was intentionally taking the drug, the damage has been done. He has trimmed fat and gained muscle for sure, and could have been taking the drug up until only a week ago, as studies show that Clenbuterol will completely leave the system in 7 days. So if trace amounts were found, there is no way of telling how long or how much Alvarez has taken, if he was knowingly taking it. Perhaps Golden Boys statement is true, and it was from the meat contamination in Mexico, but never the less, this story will be closely monitored.